I love most things about Christmas, the festivities, time with family, food, drinks and definitely the presents. I really take pride in gift giving and try to make sure I am picking out a present for someone that represents how I see and feel them. As I have a pretty unique set of friends and family this can get pretty difficult. Finding a one of a kind gift can be difficult and the crowds and haggling in the malls can the thought of shopping a dreadful one. In order to keep both my finances and sanity in check I use a three step process to prepare for gifting to the special people on my holiday list. Make a list and check it twice. No, the approach is not just for Santa Clause. Start making a list of people you think you want to buy a present for. Once you have a list you can give yourself an estimate on how much you want to spend as a maximum and divide it per person or pin point a budget for everyone individually. Make sure to keep the list somewhere you will have easy access to it and can follow up on it as things pop into your mind. If you hate writing you may even think about doing a voice memo to remind yourself of people you may have forgotten. The energy you put into it keeps you from overspending or winding up minus one for a present for someone special on your list. Focus on things people really love. It is so easy to stop by the store and get gift cards for everyone on your list. Perhaps this is a way to get people what they want, but it also can be a way to shift the time and energy of buying something to the person you are gifting (not such a nice present). Especially if the budget is low putting some energy into finding something nice for someone can have a lot more value than the monetary value of what you are buying. For an eclectic aunt a funky pair of earrings may exactly express her style and be a lot better of a presentation than the $25 Best Buy card you purchased with the same amount. Worst case scenario, just ask – What would you get yourself for $25 for example. At least someone knows you care about the things they like and getting them a nice present. 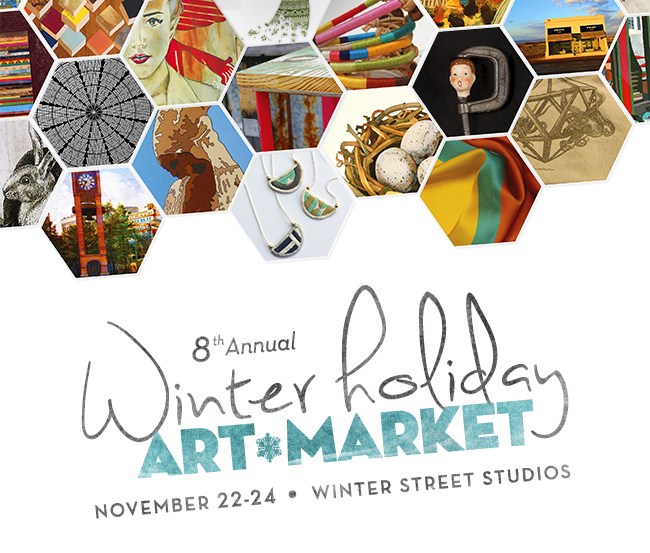 Do a little pre-planning for shopping. Let’s face it, once you wait until the last minute you probably feel they should be happy for whatever they find wrapped under the present from you. Putting time in the front in can really eliminate frustration on the back end. I like to take the less beaten path when it comes to gift giving to catch some real bargains and some unique presents. 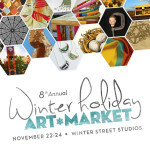 The Winter Holiday Art Market, for instance, has a great selection of unique gifts from local artisans. The prices are usually great, the experience is a lot of fun, and they are sure not to find your gift staring at them in the line at Marshalls. It’s not an official step, but most importantly, DON’T FORGET TO HAVE FUN!!! By adding a good mix of friends, relaxation, and probably a couple of cocktails the gifting process does not have to be a nightmare!